Nyquist’s story is a reminder of the slender threads of destiny that govern horse racing. In January 2011, a newly turned 4-year-old filly by the name of Seeking Gabrielle was offered as a broodmare prospect at Keeneland. She didn’t have much success on the track. A narrow maiden winner at Louisiana Downs, she was unplaced in her six other starts. Although there wasn’t much to Seeking Gabrielle’s race record, she had an attractive pedigree. Indeed, she was just the type who could enhance her value if she got in foal to a good stallion. Tim Hyde Jr. saw the opportunity and purchased Seeking Gabrielle for $45,000. Hyde has the human pedigree for the Thoroughbred business, with his father heading the internationally renowned Camas Park Stud in County Tipperary, Ireland. A third-generation steeplechase rider (as an amateur), and a veterinarian by training, Hyde is proprietor of his own Summerhill Farm, just about a mile away from his duties at Camas Park. He also has interests in North American-based bloodstock. Seeking Gabrielle would remain here to be bred, with a view toward reselling her at auction in Kentucky. There was just one problem: Seeking Gabrielle was bred in 2011, but she didn’t conceive in her first breeding season. So the game plan had to wait until 2012. That spring, Hyde sent her to an exciting young stallion who had just entered stud – Uncle Mo. Hyde explained Uncle Mo’s appeal. “He was such a good racehorse,” Hyde said, adding that the champion 2-year-old colt of 2010 was also a strikingly handsome physical specimen. Uncle Mo got Seeking Gabrielle in foal, and according to plan, the pregnant mare returned to the Keeneland sales ring in November 2012. But bidding stalled at $90,000 – below her reserve price – and Hyde kept her. 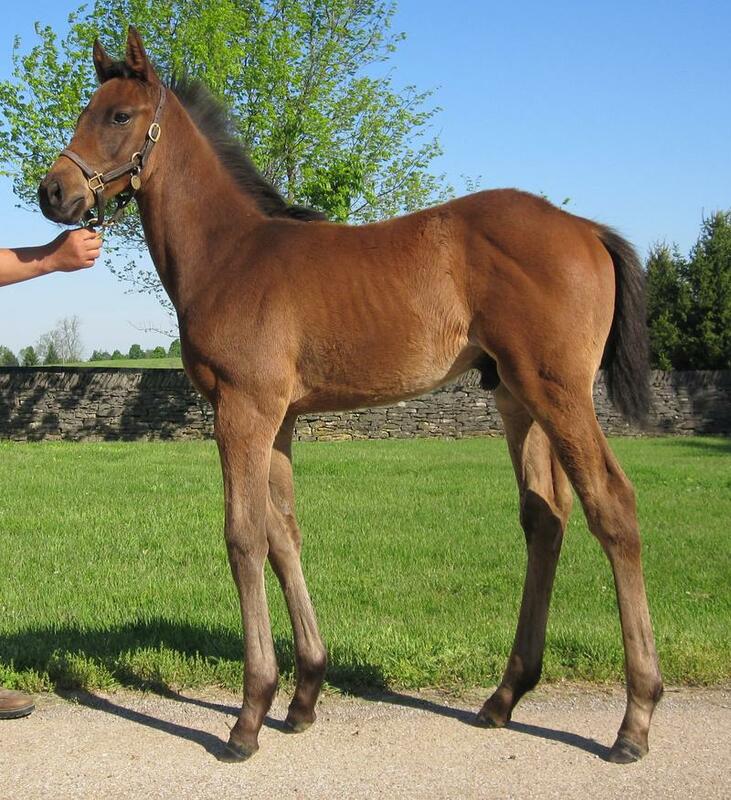 The following March at Coolmore's Ashford Stud near Versailles, Kentucky (where Uncle Mo stands and where American Pharoah is now beginning his stud career), she delivered the baby we would come to know as Nyquist. Imagine the counterfactual: what if Seeking Gabrielle had gotten in foal to another stallion in 2011? Hyde might have sold her successfully that fall, and if so, her new owner may never have sent her to first-season stallion Uncle Mo in 2012. We’d have no Nyquist. And if someone had bought Seeking Gabrielle while she was carrying her Uncle Mo foal in 2012, that buyer would be listed as the breeder of Nyquist. But no one did. Thus Hyde’s Summerhill Farm gets due credit for breeding the champion. Hyde recalled that Nyquist exuded quality as a foal. Mother and son were both sold at Keeneland in November 2013. Seeking Gabrielle, in foal to Blame, went to Hinkle Farms for $100,000. 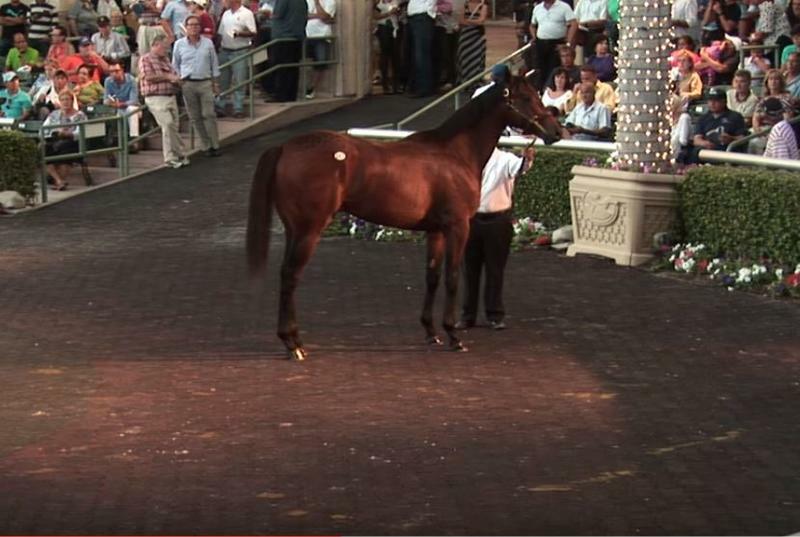 But the weanling Nyquist commanded a good deal more, bringing $180,000 from Madison Farm. Nyquist has made a total of three appearances at public auction, for progressively higher prices. It took $230,000 for Sutton Place Stable to secure him as a yearling back at Keeneland the following September. About six months later, the bay went to his current connections for $400,000 at the Fasig-Tipton Florida Sale of 2-year-olds in training – and obtained his name, in honor of NHL player Gustav Nyquist (owner Paul Reddam is a lifelong Detroit Red Wings fan). Niall Brennan, who consigned the colt to the Florida Sale, played an important role in his early education. What stood out about Nyquist? Employing a schoolroom analogy, Brennan noted how young boys tend to cut up at the back of the class and get in trouble. Colts can be similarly rambunctious too. But not Nyquist. He never went in for that kind of behavior. He “learned everything very quickly,” the kind of horse who was “always perfect” and “did everything the right way,” Brennan recalled. As a “supreme athlete,” Nyquist is “going to give his best. He’s going to run as fast as he can, as long as he can. Even those of us who’ve only seen this Kentucky Derby contender from afar can agree. Photo of Nyquist as a foal courtesy of Coolmore's Ashford Stud.